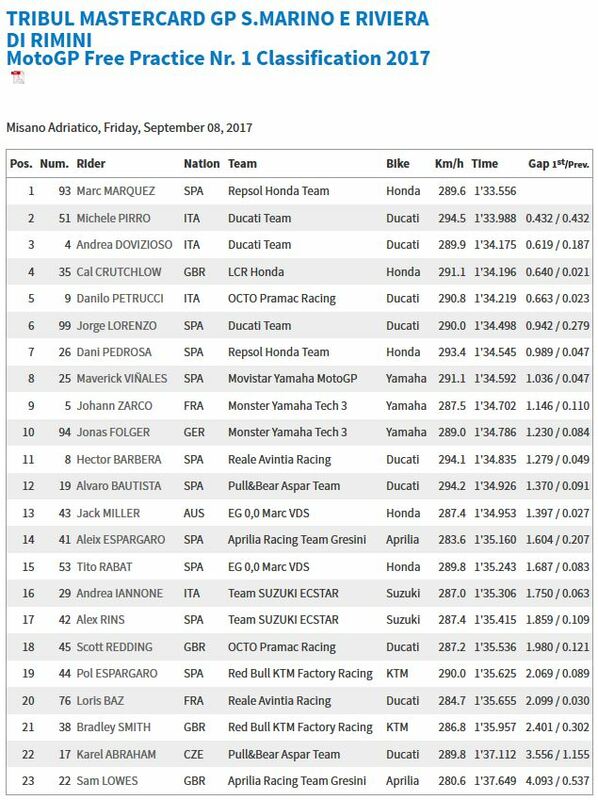 Marc Marquez (Repsol Honda Team) shot to the top in FP1 at the San Marino GP, consistently ahead of the chasing pack and finishing the session four tenths clear. 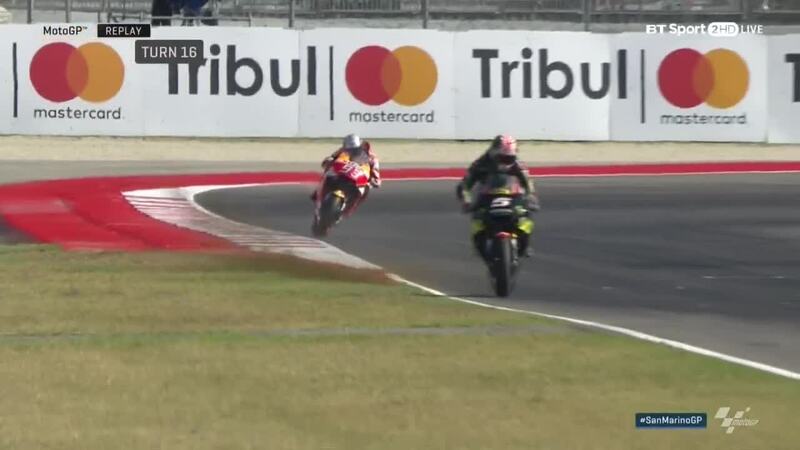 Clear of who? 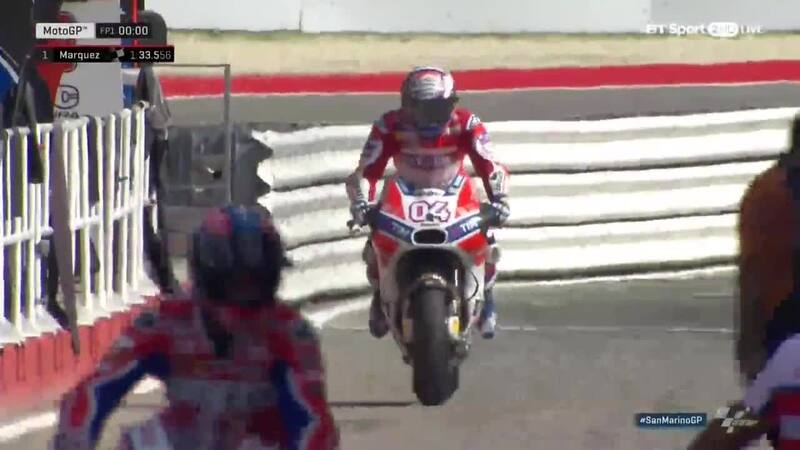 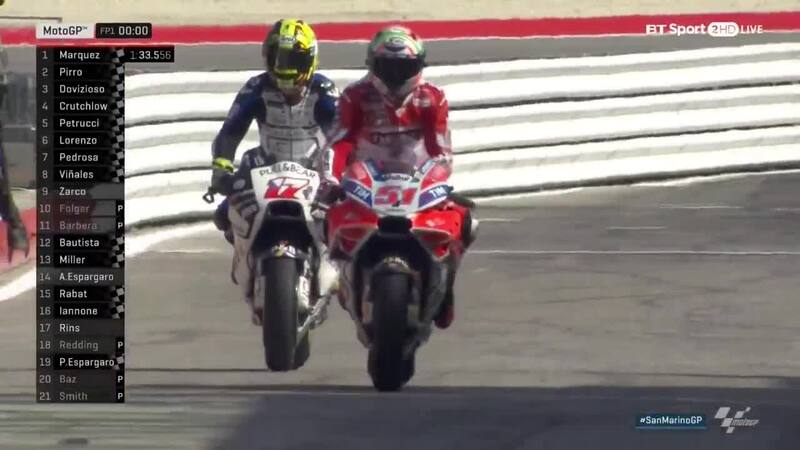 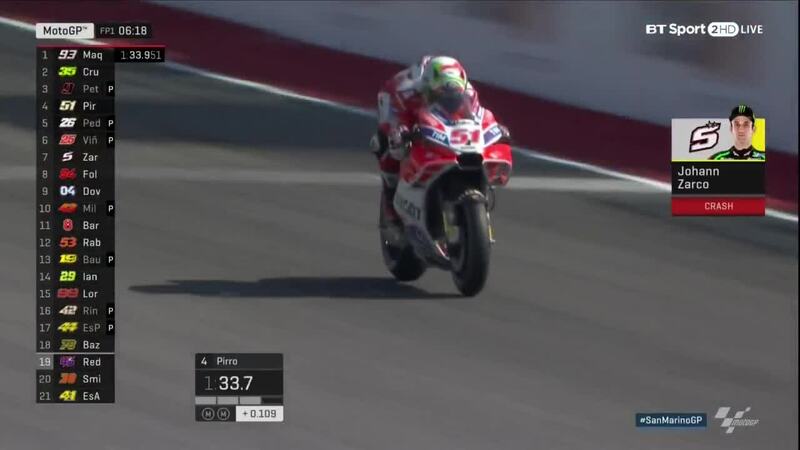 Ducati test rider and wildcard Michele Pirro as the Italian impressed once again, with Championship leader Andrea Dovizioso (Ducati Team) completing the top three. 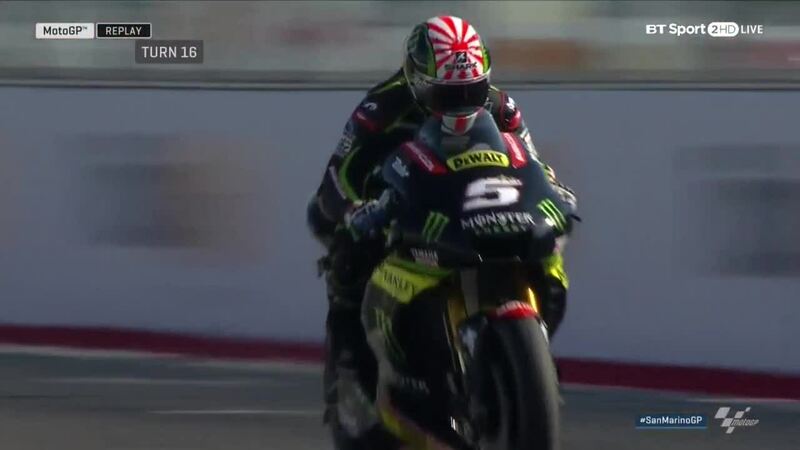 Cal Crutchlow (LCR Honda) had a solid first session despite his recent finger injury and took fourth, ahead of Danilo Petrucci (Octo Pramac Racing) and Jorge Lorenzo (Ducati Team). 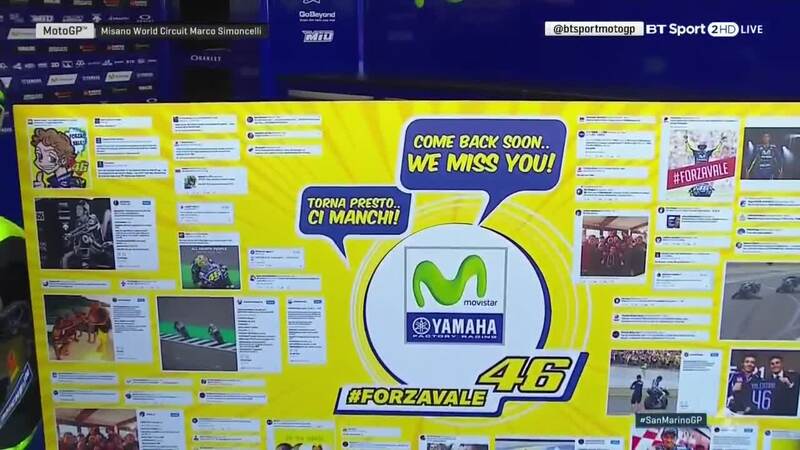 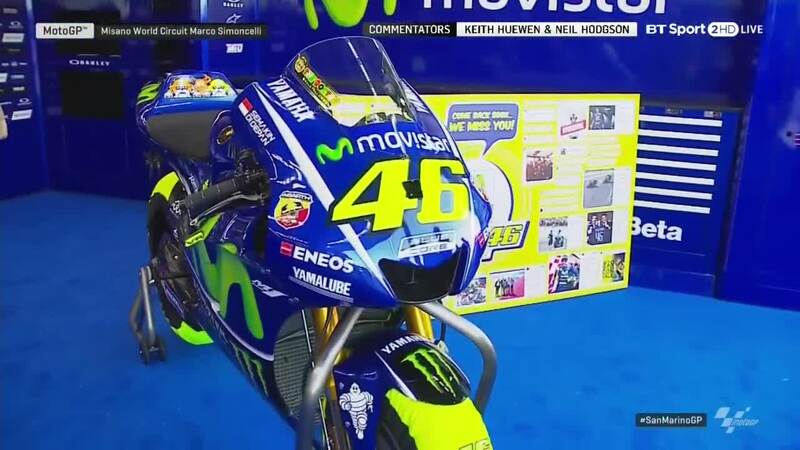 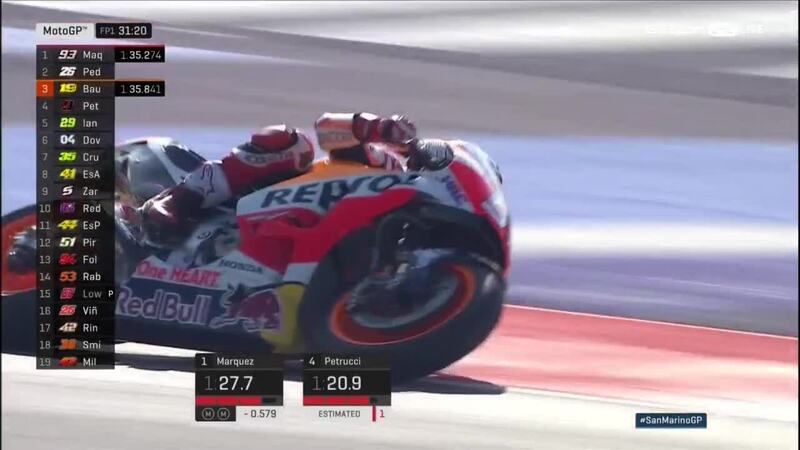 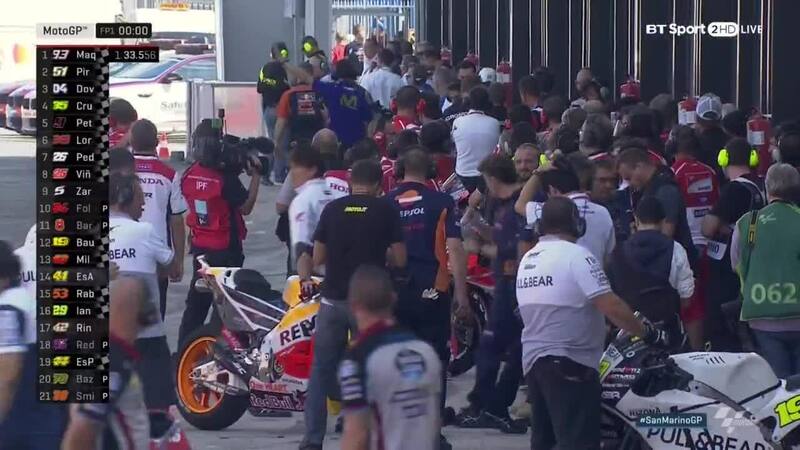 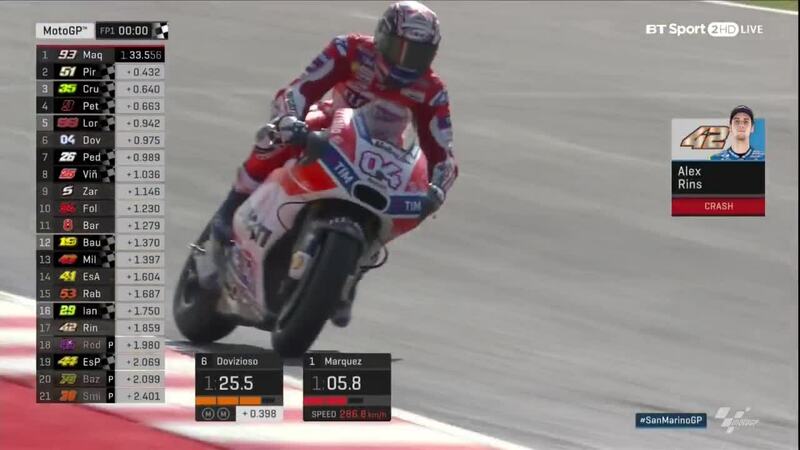 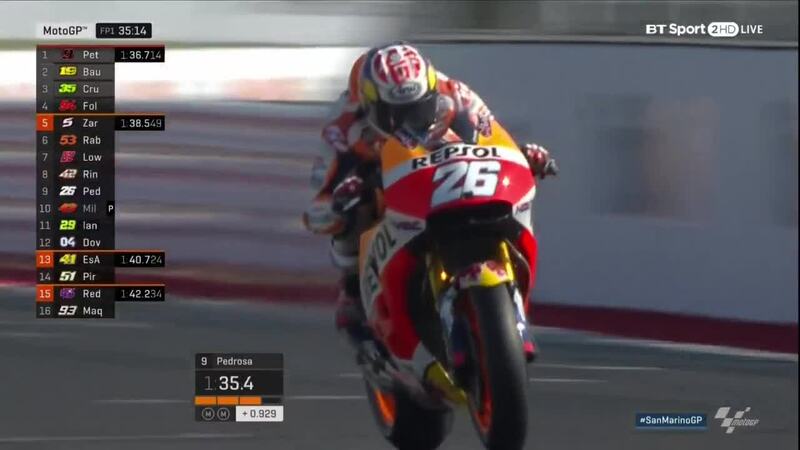 After running second for must of the first half of the session, last year’s winner Dani Pedrosa (Repsol Honda Team) was seventh, ahead of Maverick Viñales (Movistar Yamaha MotoGP) and Monster Yamaha Tech 3 teammate Johann Zarco and Jonas Folger. 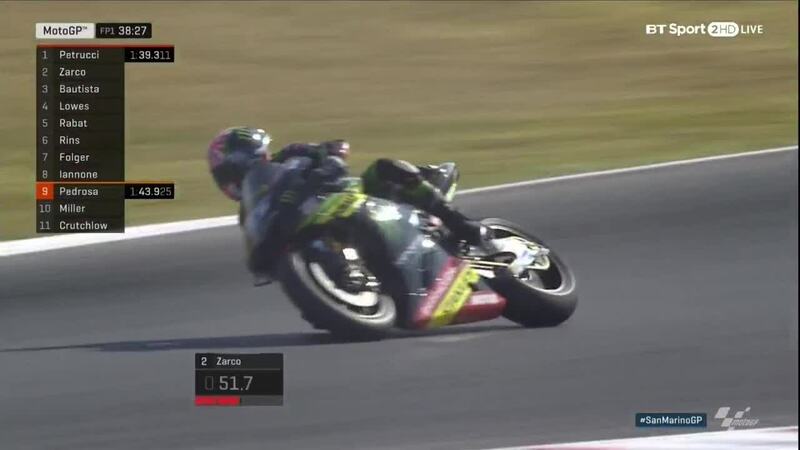 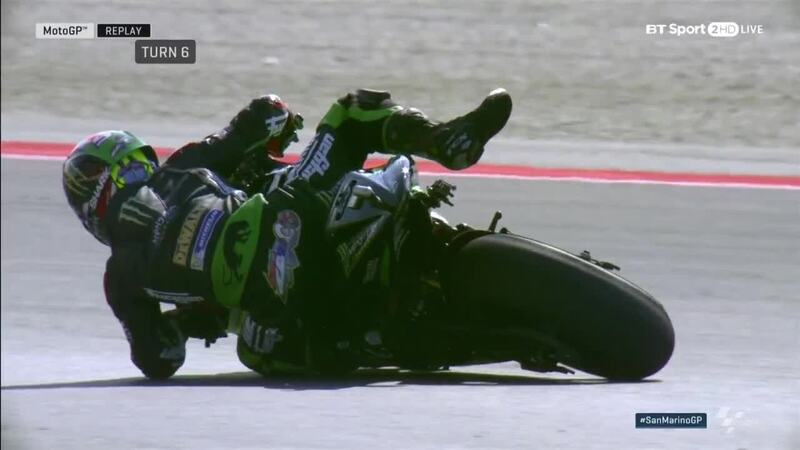 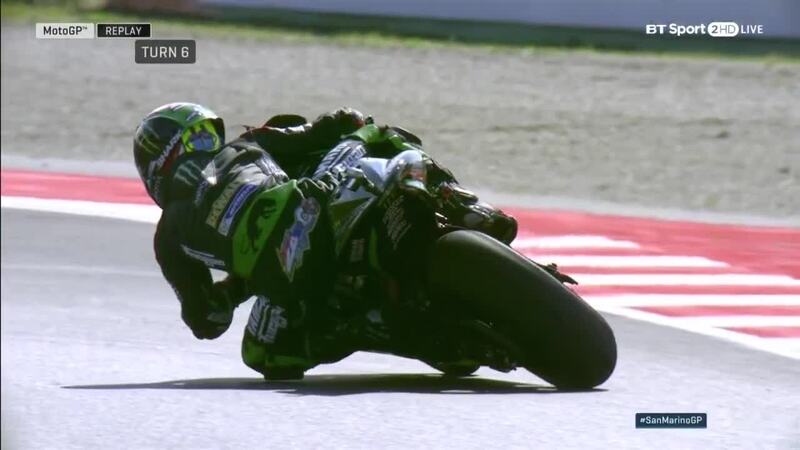 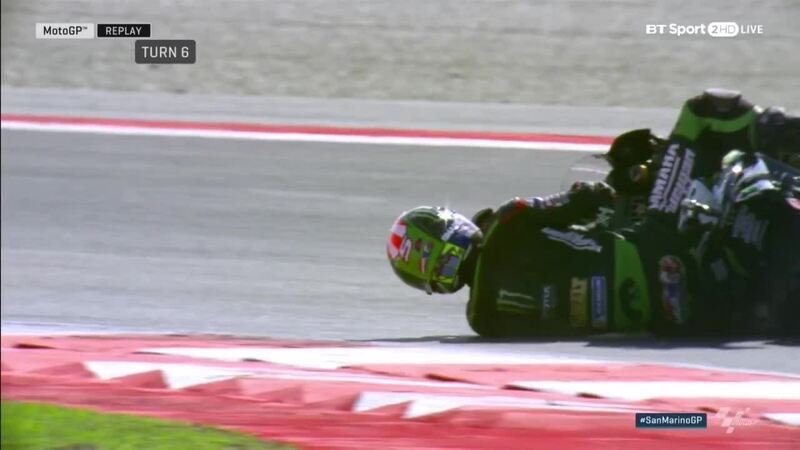 There were a number of crashers, including Zarco, who took a tumble at Turn 6 after earlier also suffering a moment as he edged onto the grass. 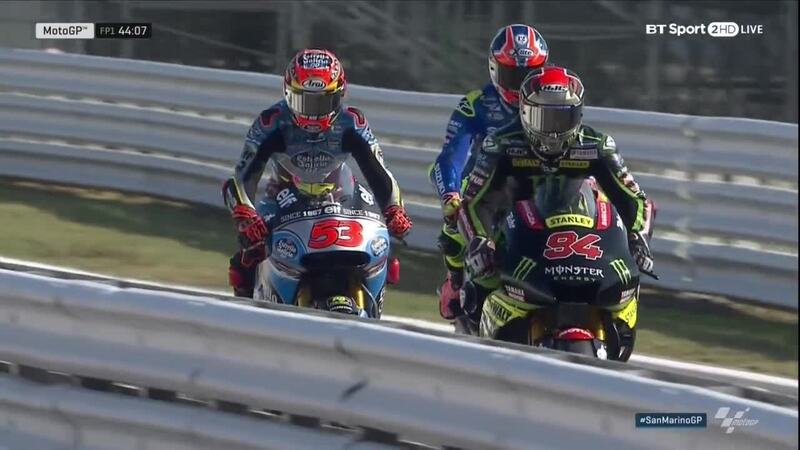 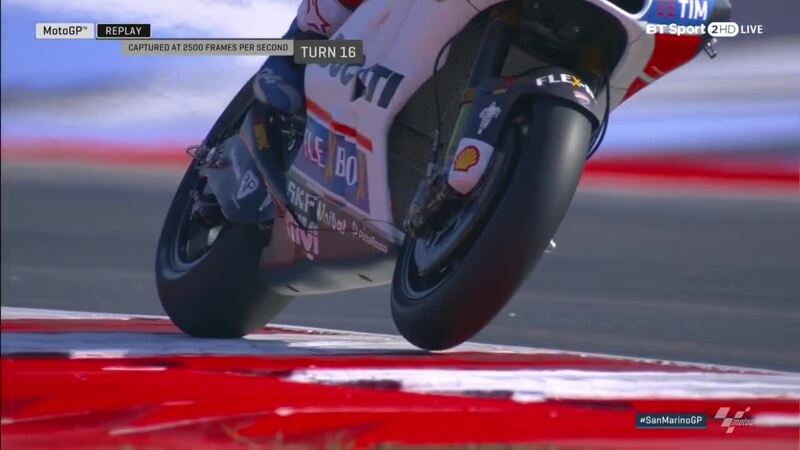 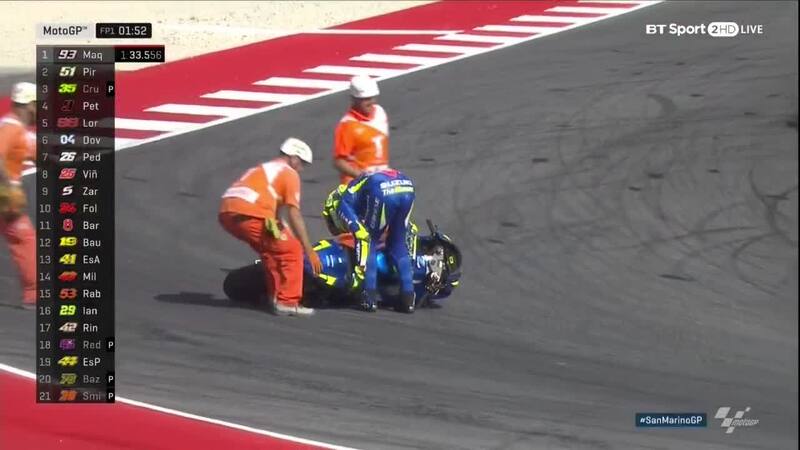 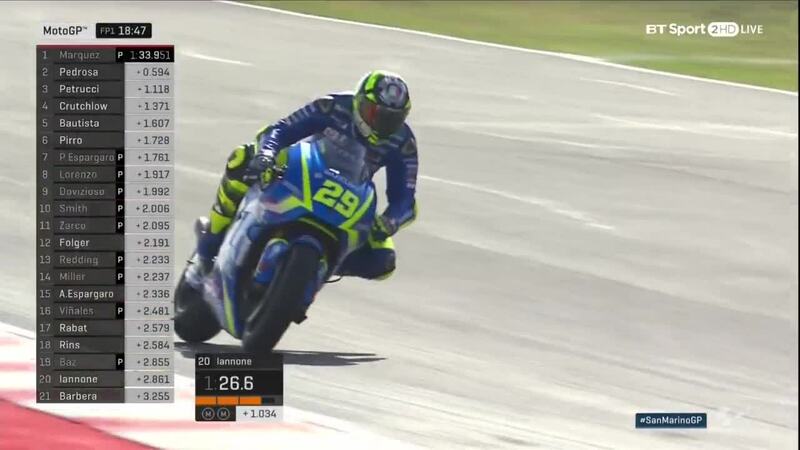 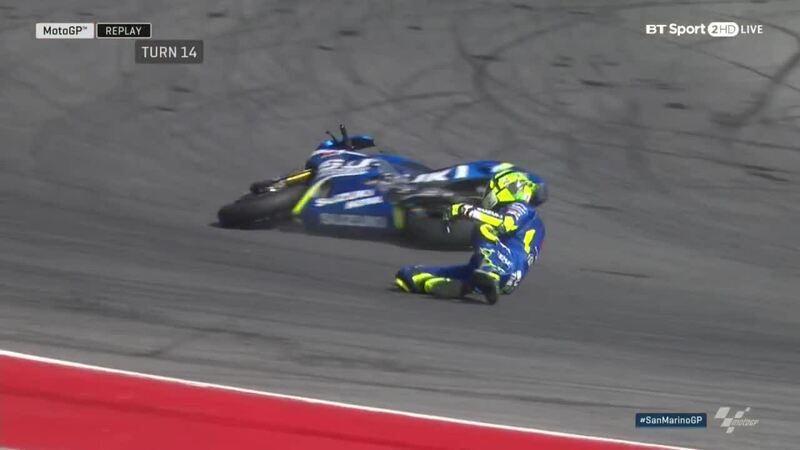 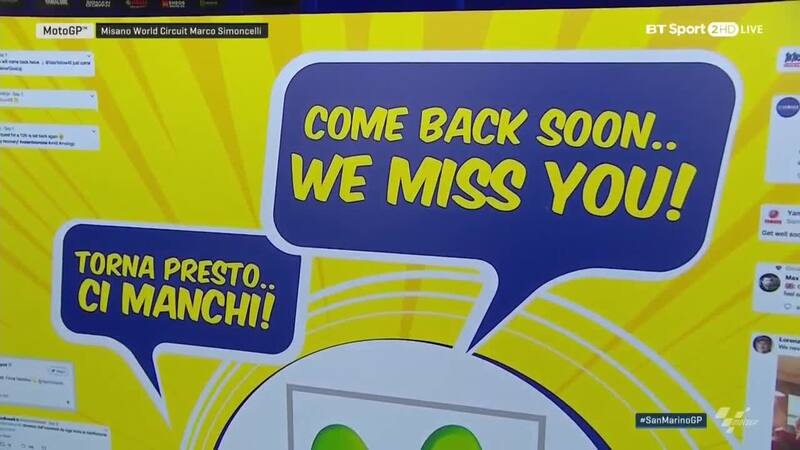 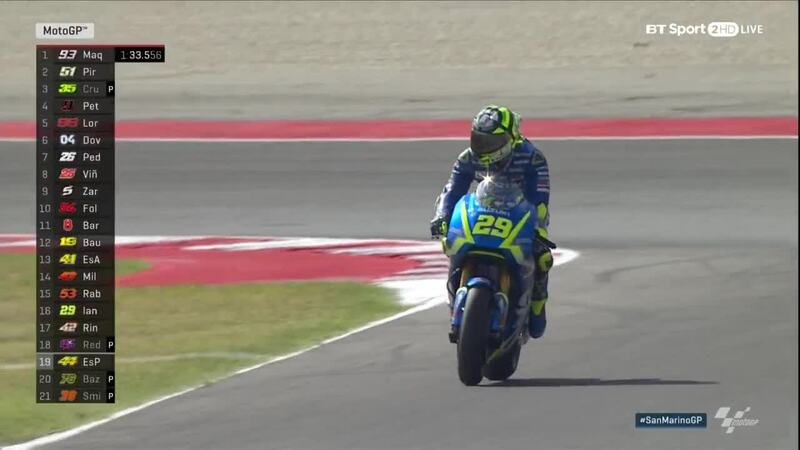 Both Team Suzuki Ecstar riders Andrea Iannone and Alex Rins suffered falls, as well as both Aprilia Racing Team Gresini competitors Aleix Espargaro and Sam Lowes. 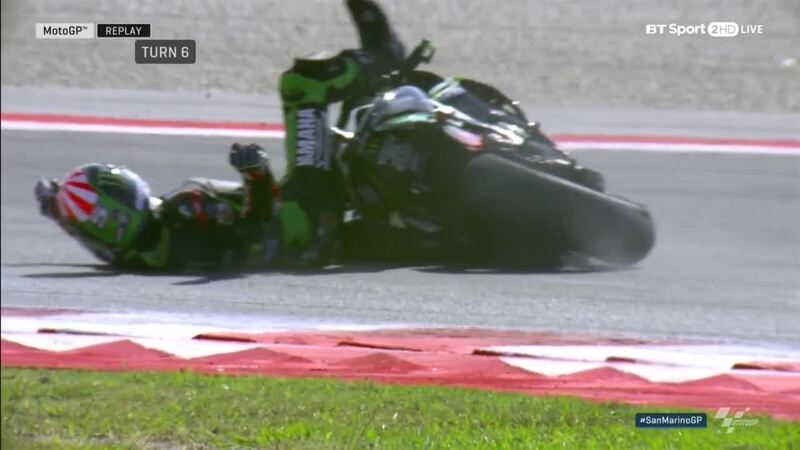 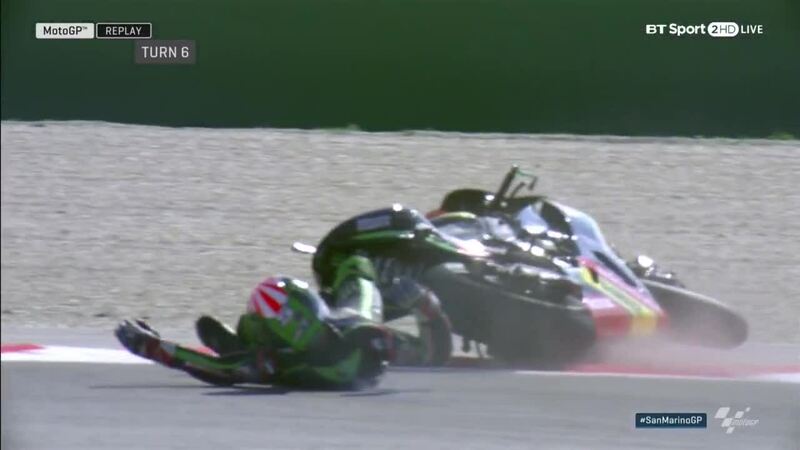 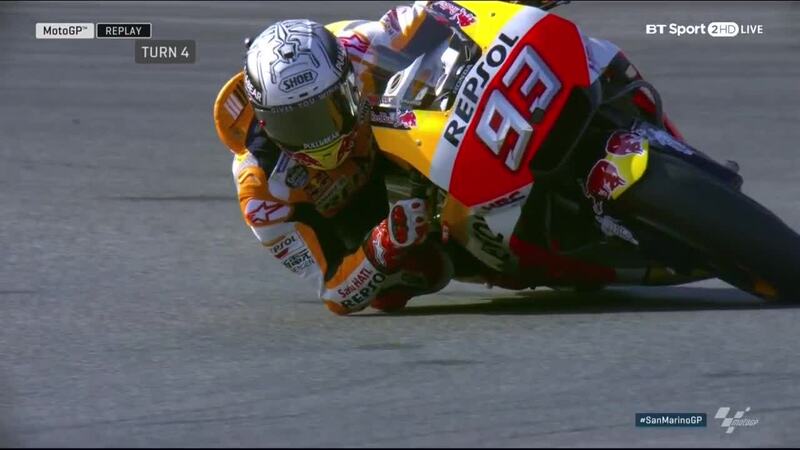 Bradley Smith (Red Bull KTM Factory Racing) was another faller.